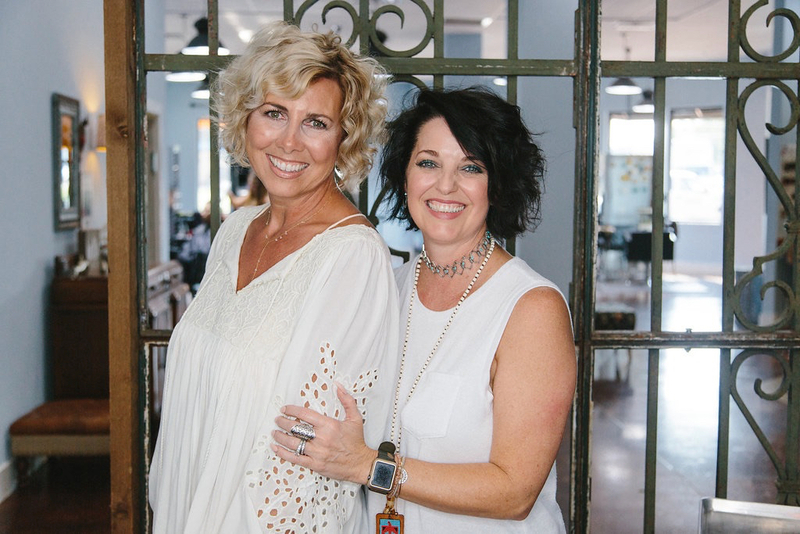 Get to know the amazing owners of Dv8, Candice Hammit and Lisa Justiss, as well as the story of how this amazing salon began its journey. What are your roles at DV8? C: They are truly supercalifragilisticexpialidocious. Our roles are always evolving as owners. From where we began 10 years ago, to where we are now is so different but really, we are about the people. L: It also evolved over time! Candice has always wanted to have a salon, and I had other interests! We were at a salon where I had been experienced in leasing and Candice knew she wanted to go out on her own. She knew I knew how to do that, from my leasing experience, and she had the drive and want to make it happen. Here I was, thinking I was retiring. God literally dropped DV8 into our laps. C: Literally everything we had in our business plan that we were speaking out: all of our dreams were out in the universe and God said, “alright here it is”. The location, at a price we could afford, it had all the things we wanted. L: We had about two and a half years leasing together at that time. C: We had also been friends for nearly 20 years, we just had to learn to manage the business, and run it together. We already knew our values and work ethic were the same. L: The name DV8 was already on this place, and we kept the name, because we completely deviated from what we thought we were going to do. It means to step away from the norm. We were looking at shopping centers, building out, but the building came to us and completely deviated what we thought our plans were. God’s hand has been on this from the very second I picked up the phone to hear “there’s a salon”. What is one of your all time favorite hair moments? C: There are just so many parts of what I’ve done, but for me, just learning to connect with my clients, discovering the creative part of hair, they just all build together. L: And Candice always has her hands in hair! She loves the creative aspect of it, and that’s so inspiring to be around: creativity in hair is a true part of who she is. L: Weddings have always been special for us. We get that time to work together, to be hairdressers as well as friends, it’s definitely one of the highlights for me. I trained under Candice, so it’s just a cool moment for me to experience with her. C: Yes, and I recently had a guest who celebrated 18 years of being cancer free. 20 years ago I was at the hospital with her shaving her head for her chemo. That’s one of the experiences that I would have never had if I wasn’t doing hair. That’s part of the “people” part of it. That’s why there’s so many amazing moments. You connect with people and you get another aspect of creativity as well. What’s the most “out there” hairstyle you’ve ever rocked? C: I frosted my own hair, and ended up with orange stripes because it was just brush on bleach at the time. Lisa, what was the really bad hair I gave your that one time? You looked like that girl from Happy Days- Pinky Tuscadero. L: Yes, that was probably my craziest hair…. But maybe my blue hair is the most out there! C: I remember when Lisa colored her hair blue and I was sitting at the table seeing the light coming from behind her and thinking “oh my goodness, my friend looks so good with blue hair”. Which I immediately started giggling about because I found myself saying “my friend looks so pretty with blue hair” like.. That’s absurd! 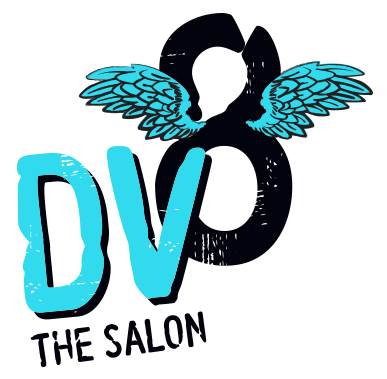 How can a guest be most prepared to walk through the doors of Dv8? C: Definitely open and ready to trust their stylist. For example, if they bring in pictures of their goals, to trust their stylist with the reality of what that will be for them. C: Not just saying this is what I want, and that’s it. L: That conversation helps to build that relationship between client and stylist. It means that you’re looking forward to coming back again. 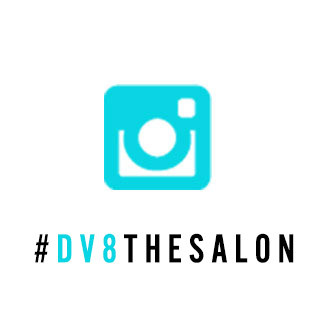 Why should someone choose Dv8 as their salon home? C: Because we love people! L: And we love what we do. That’s really where we’ve grown our business: loving people and what we do. Yes hair is important, but at the end of the day it’s relationships. Those relationships with your hairdresser are priceless and can be life long. We’ve both had clients for 20 plus years and that’s because: we love what we do and we love people!